Someone should ask Novak Djokovic to be a guest at the Dancing with the Stars TV show. He's got the moves like Jagger. :) This happened at the players party in Dubai. Take a look! 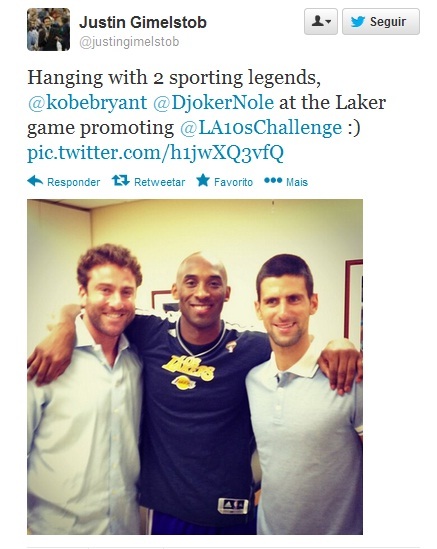 Nole is already in Los Angeles preparing for the upcoming Indian Wells Masters 1000. 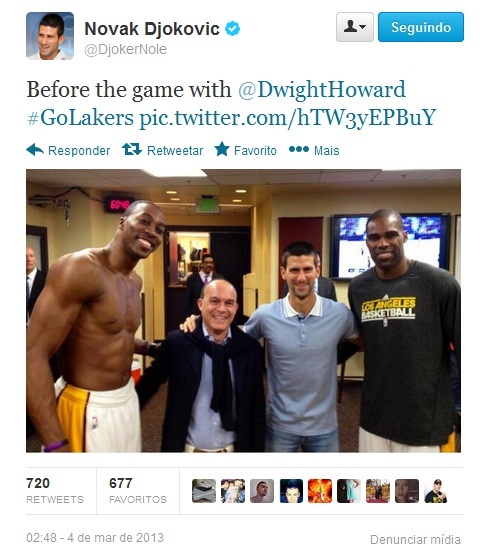 Yesterday, he had the time of his life meeting some of the LA Lakers stars such as Dwight Howard and Kobe Bryant. The world No. 1 was at the Staples Center watching a LA Lakers-Atlanta Hawks game, which was won by the home team.